Louisiana down payment assistance programs allow qualified homebuyers to own their own home with funds for down payments as well as other closing costs that might be associated with their purchase. Whether you wish to live in an urban or rural environment, there are plenty of homeowner down payment assistance programs available to you. The state of Louisiana differs from many states in that down payment assistance is available for practically any purchase, anywhere. There are qualifications for this assistance, but there are generally two organizations that make this assistance possible and administer the programs. These are statewide and regional programs, the Louisiana Housing Corporation and the U.S. Department of Agriculture Rural Housing. Both of these organizations make down payment and closing cost assistance available to those who qualify. 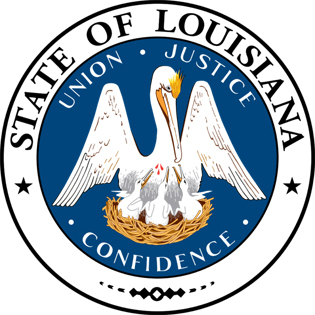 Louisiana down payment assistance programs are available to urban residents through the Louisiana Housing Corporation, which makes down payment and closing cost monies available to those who qualify. The successful applicants for this program are from low- and medium income single families. Applicants do not necessarily have to be first time homebuyers to qualify for these funds, but they must meet certain income requirements established by the area to qualify. These income requirements are based on a sliding scale dependent on income. If you so desire, living in a rural environment can be possible through a program set up and administered by the U. S Department of Agriculture Rural Housing Program, which makes monies available for down payment assistance for homes in a rural setting. This program offers successful applicants loans, grants, as well as loan guarantees. This program also offers funds to rehab homes so that they are safe, sanitary, decent, and ready for move-in. This entry was posted in Louisiana and tagged down payment assistance, grants, housing authority, louisiana, programs. Bookmark the permalink.